I don't hit near the quantity of garage sales that Mandy does, but when I do hit them, I try to score big. And it's usually by accident, and I typically don't go looking for garage sales. But this morning, I happened upon two sales just blocks from my home. Fortunately, Mandy was not with me. When Mandy buys at garage sales, it's a ton of little items at $2 each. When I buy, I go all out. I only bought three items, one for $40, one for $75 and one for $244. 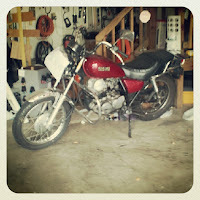 Find #1: The first garage sale had a motorcycle in the driveway, which is the only reason I started stopping at garage sales today in the first place. GARAGE SALE TIP: If you have a garage sale and want to attract male customers to it, just stick a motorcycle in the driveway. They'll flock to it. 1980 Yamaha SR250. Runs and drives with title. Price new: who knows? 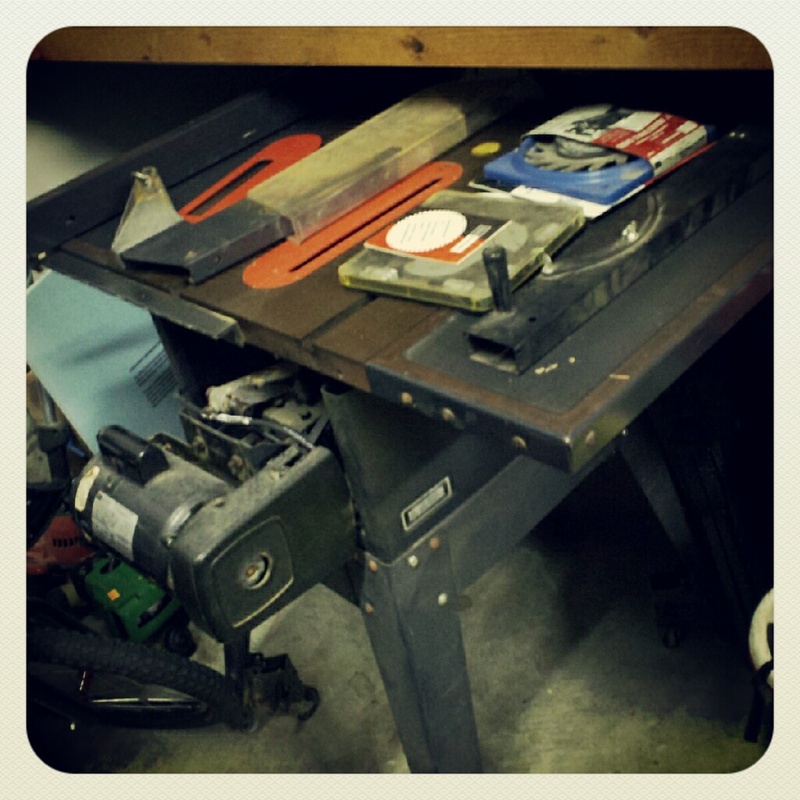 Find #2: Full size table saw on casters with dado blade, shaper kit, and a full set of guides. Oldie but goodie; is actually made of cast steel and is solid as a rock. New table saws sold in big box home improvement stores these days are all stamped steel and are more rickety. Price new: $650 not counting accessories. 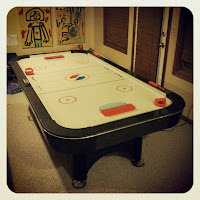 Find #3: Arcade size air-hockey table (96" long). DISCLAIMER: this was not actually in a garage sale. 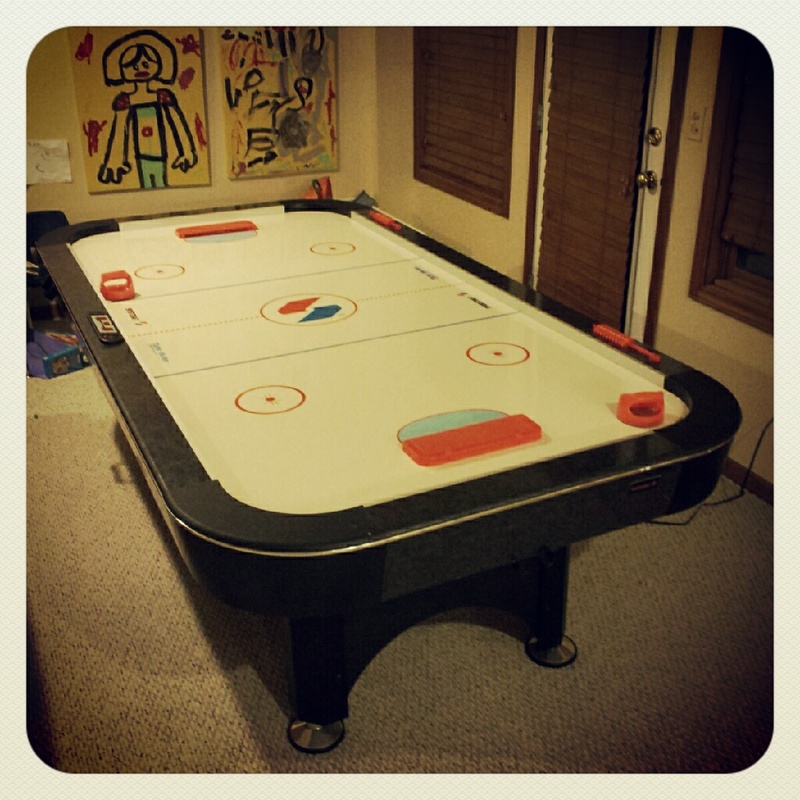 Rather, when loading item #2 into our minivan, the next door neighbor wandered over and said he noticed I had kids and would I be interested in an air hockey table. Would I?! (DISCLAIMER #2: I must be a craft blogger...I used the ?! punctuation). Price new: $670. Heck yeah and oh so useful for helping out with crafting....table saw should come in handy and that table looks just the riht hight to stack stuff on. What a thoughtful husband! Well done. So are we actually entering in our guesses for the prices? All I want for a prize is to know that I got it right. So here goes. And in my opinion really great finds. I know my husband would agree. 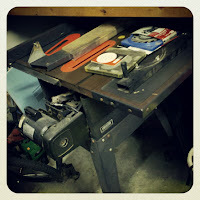 Those old table saws are the best. How on earth do you get to $244? Did they start at $300, and there were negotiations? I need to find a nice table saw. I found a scroll saw for $40 last year and it's been awesome! I don't even want to guess because the deal you got on the air hockey table makes me jealous!!!!! I love garage saleing but I never know if I am getting a good deal (plus I don't need more junk around my house. Did the motorcycle need any work? Hey my motto is why spend $50 when you can spend 50 cents.